Sometimes your stitches fall off your needle, and as you frantically try to cram them back on, you notice that they’re sitting funny. The needle doesn’t go into them smoothly, and the actual stitch looks wonky. When this happens, it’s likely that your stitches are twisted. Thankfully, this has an easy fix. The first step is recognising whether your stitch is, in fact, twisted. The second step is untwisting that sucker! Easy enough, right? So, now your stitch has cowboy legs! Right and left cowboy legs, that is. There are two ways that our cowboy stitch can sit on our needle. It can sit with its left leg in front or it can sit with its right leg in front. (When I say “in front” I mean that the leg is sitting in front of the needle). One way results in a twisted stitch. The other way results in a nice, regular untwisted stitch. Try to guess which leg should be in front in order for a stitch to be untwisted! 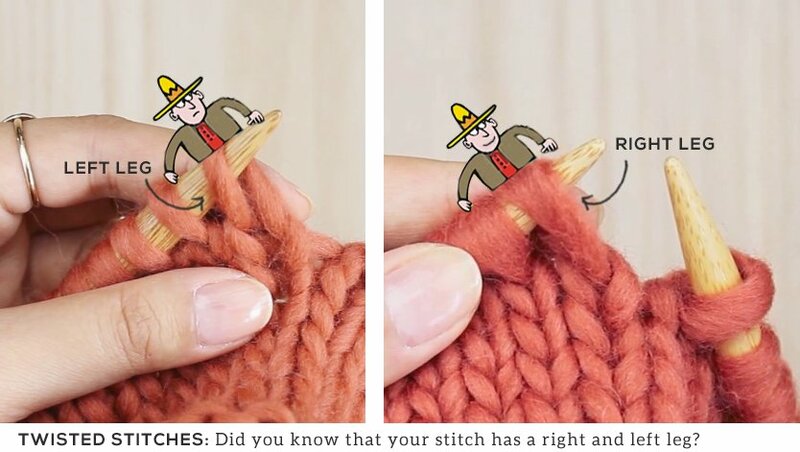 If you can’t tell by the cowboy’s smile, the answer is that the RIGHT LEG of a stitch should always be in front. This results in a nice untwisted stitch. 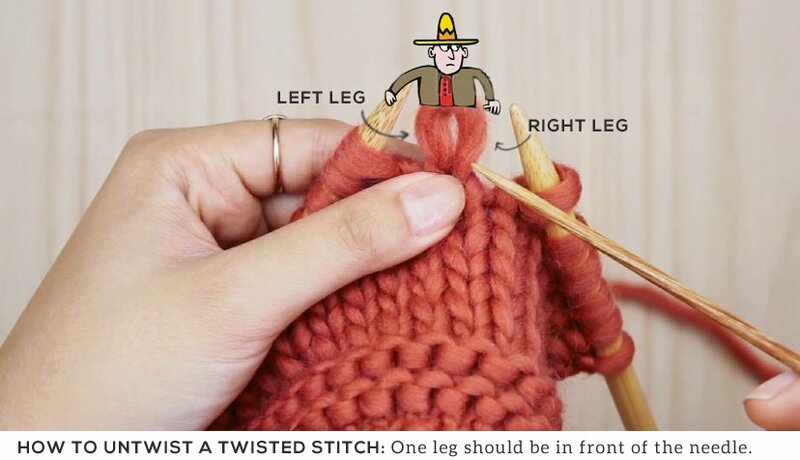 When the left leg of a stitch is sitting in front, that means that the stitch is twisted. 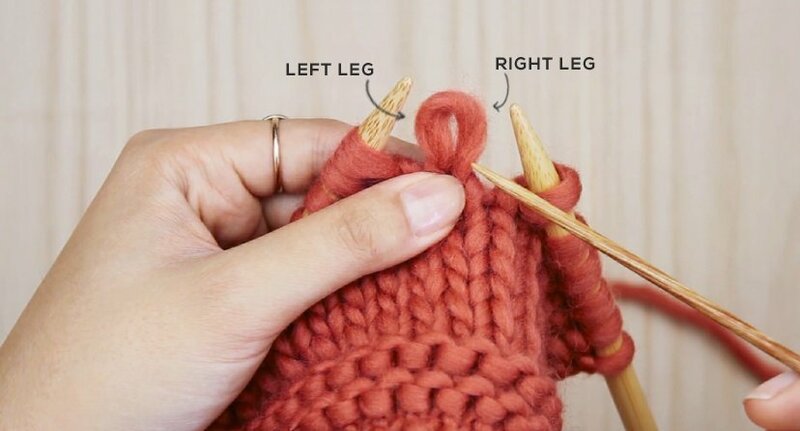 If you’ve been knitting for awhile, you can “feel” that a stitch has been twisted because your needle won’t go into it smoothly. There’ll be some resistance, and a quick leg check will reveal whether your stitch is twisted or not. To learn three ways on how to UNTWIST your stitch, watch the tutorial video above!